1. To live in this world you must be able to do three things: to love what is mortal; to hold it against your bones knowing your own life depends on it; and, when the time comes to let it go, to let it go. 2. Someone I loved once gave me a box full of darkness. It took me years to understand that this too, was a gift. 3. It is better for the heart to break, than not to break. 4. Love yourself. Then forget it. Then, love the world. 5. Also I wanted to be able to love and we all know how that one goes, don’t we? Slowly. 6. Two or three times in my life I discovered love. Each time it seemed to solve everything. Each time it solved a great many things but not everything. Yet left me as grateful as if it had indeed, and thoroughly, solved everything. 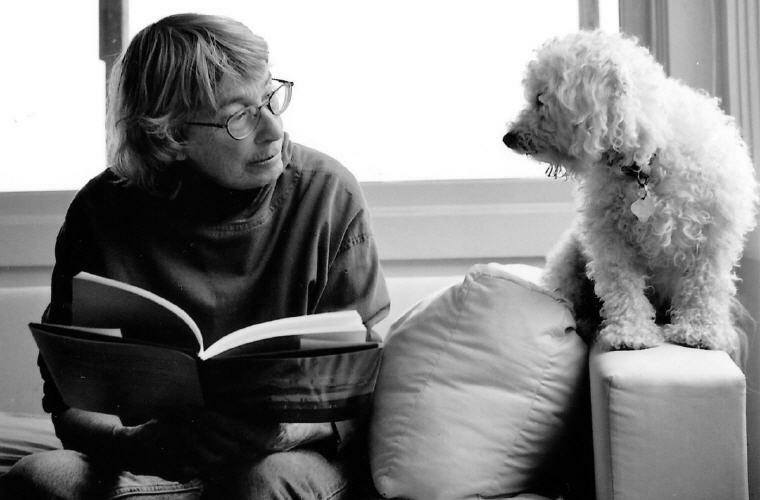 Excerpt from Wikipedia: Mary Oliver (born September 10, 1935) is an American poet who has won the National Book Award and the Pulitzer Prize. The New York Times described her as “far and away, [America’s] best-selling poet”. 1. Tell me, what is it you plan to do with your one wild and precious life? 2. Instructions for living a life: Pay attention. Be astonished. Tell about it. 3. Hello, sun in my face. Hello you who made the morning and spread it over the fields…Watch, now, how I start the day in happiness, in kindness. 4. You must not ever stop being whimsical. And you must not, ever, give anyone else the responsibility for your life. 5. Sometimes I need only to stand wherever I am to be blessed. 6. I don’t want to end up simply having visited this world. 7. I held my breath as we do sometimes to stop time when something wonderful has touched us as with a match which is lit, and bright, but does not hurt in the common way, but delightfully, as if delight were the most serious thing you ever felt. 8. A dog comes to you and lives with you in your own house, but you do not therefore own her, as you do not own the rain, or the trees, or the laws which pertain to them…A dog can never tell you what she knows from the smells of the world, but you know, watching her, that you know almost nothing. 9. Still, what I want in my life is to be willing to be dazzled — to cast aside the weight of facts and maybe even to float a little above this difficult world. 10. The most regretful people on earth are those who felt the call to creative work, who felt their own creative power restive and uprising, and gave to it neither power nor time. 11. Here is an amazement –– once I was twenty years old and in every motion of my body there was a delicious ease, and in every motion of the green earth there was a hint of paradise, and now I am sixty years old, and it is the same. 12. But also I say this: that light is an invitation to happiness, and that happiness, when it’s done right, is a kind of holiness. 13. Keep some room in your heart for the unimaginable. 14. One tree is like another tree, but not too much. One tulip is like the next tulip, but not altogether. More or less like people—a general outline, then the stunning individual strokes. 15. In the beginning I was so young and such a stranger to myself I hardly existed. I had to go out into the world and see it and hear it and react to it, before I knew at all who I was, what I was, what I wanted to be.